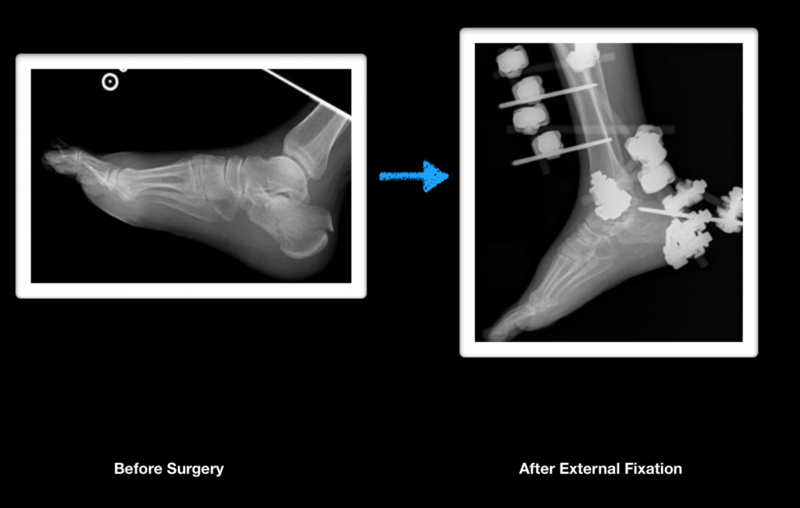 Answer: It is the heel bone that has a hard outer shell and soft inside. The top of the bone has cartilage that assists the bones in the foot in moving. Answer: Injuries usually occur from falls from a height or jumping off of a high object (i.e. table, roof or ladder). What happens to the bone when it gets injured? Answer: It usually shatters into multiple pieces (comminution). The bone shortens in height and increases in width. 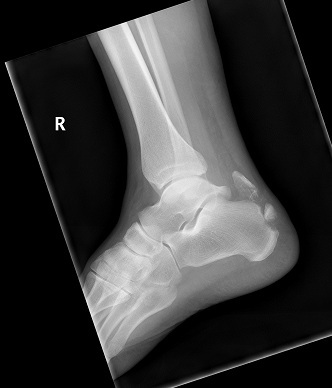 What injuries are associated with these fractures? Answer: Injuries may occur concurrently to the wrist and lower back. What should be done immediately after the injury? Answer: The immediate application of ice and compression will keep down some of the swelling. Strict nonweightbearing with crutches is extremely important. Immediate care is necessary from your physician. How is the injury evaluated? Answer: Complete history and physical exam of the injury is performed. X-rays are taken to evaluate the fracture itself. In most cases a CT scan is necessary to evaluate the joint surfaces and determine what the best surgical procedure to be performed is. Injuries to other areas including the wrist and spine are also evaluated. Will the foot be placed in a cast or will surgery be necessary? 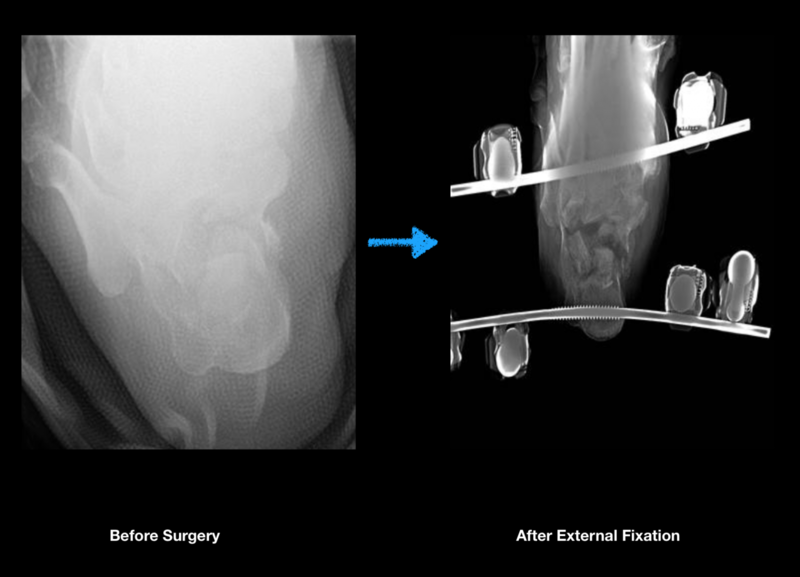 Answer: Nondisplaced fractures may be casted. The patient is put on crutches for six weeks. 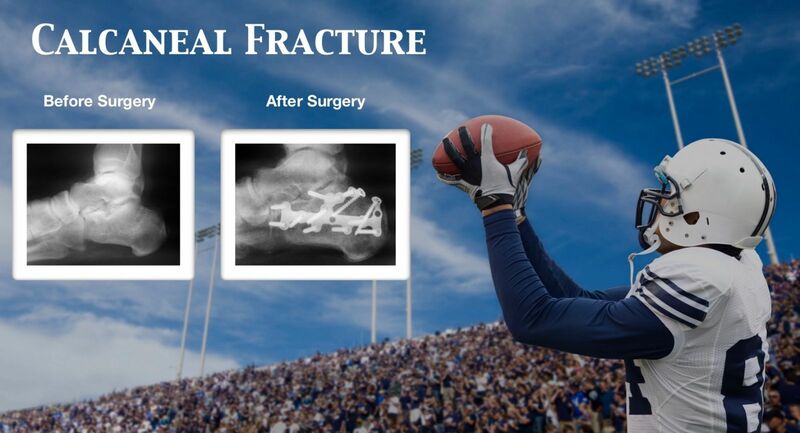 Displaced fractures will usually require surgery. 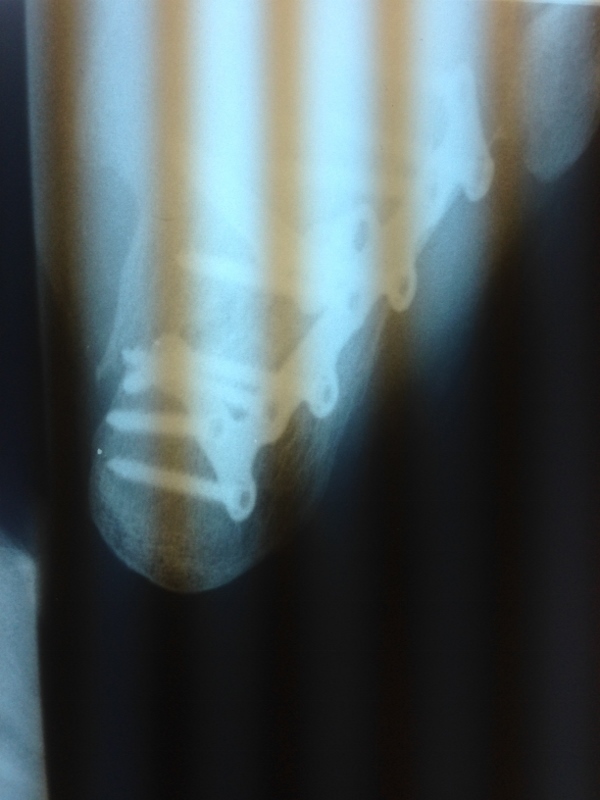 Answer: The bone fragments are usually displaced or out of their normal alignment. These fragments need to be put back into their original position and held with pins, screws and plates. Answer: The procedure is usually performed in an outpatient setting. 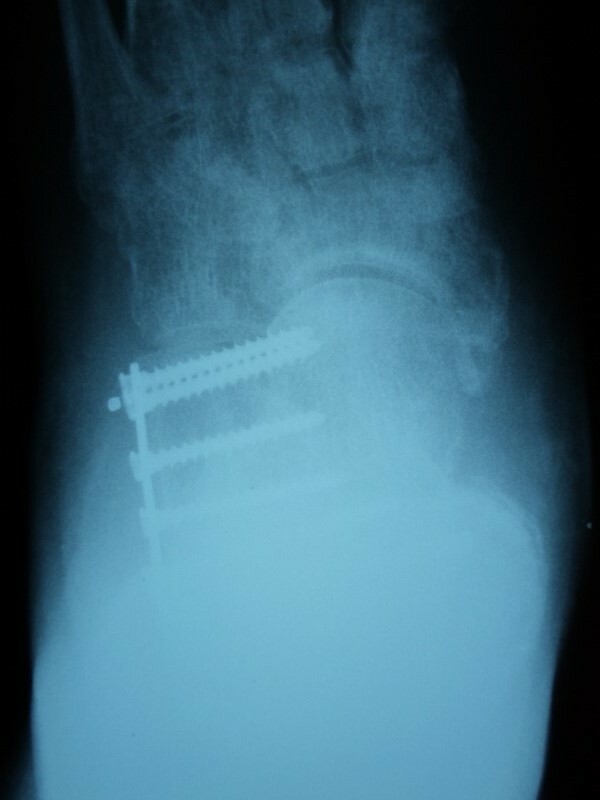 If there are other conditions associated with the fracture or medical conditions co-exist, hospitalization may be needed. What possible postoperative care may be needed to insure good recovery? Answer: Patients will remain nonweightbearing for six to twelve weeks. When could a person return to work or sports following these injuries? Answer: Sedentary jobs can resume after one to three weeks. Work requiring extensive weightbearing may take six to twelve months. 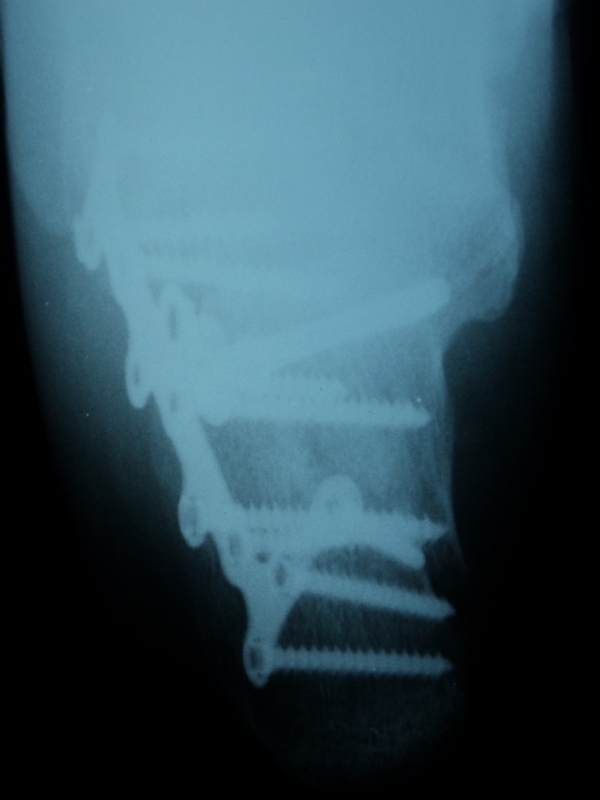 If the bone injury is severe, a change in a person’s job may be needed. Sports modifications will also be necessary. Will there be work restrictions? 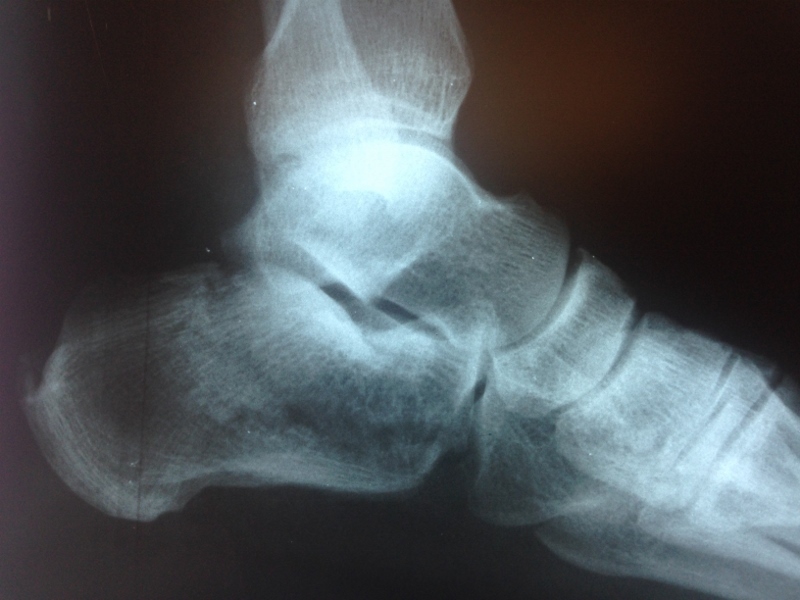 Answer: Sedentary jobs will provide little problem for patients with calcaneal fractures. Work restrictions will be necessary for the person who has to weightbear. Walking long distances or standing for a period of time will adversely affect the foot. These restrictions may be in place for up to one year. In some cases these restrictions may be permanent. Will there be activity restrictions? Answer: Activities that require walking long distances or running will be limited. Return to some sports may take a year or more. 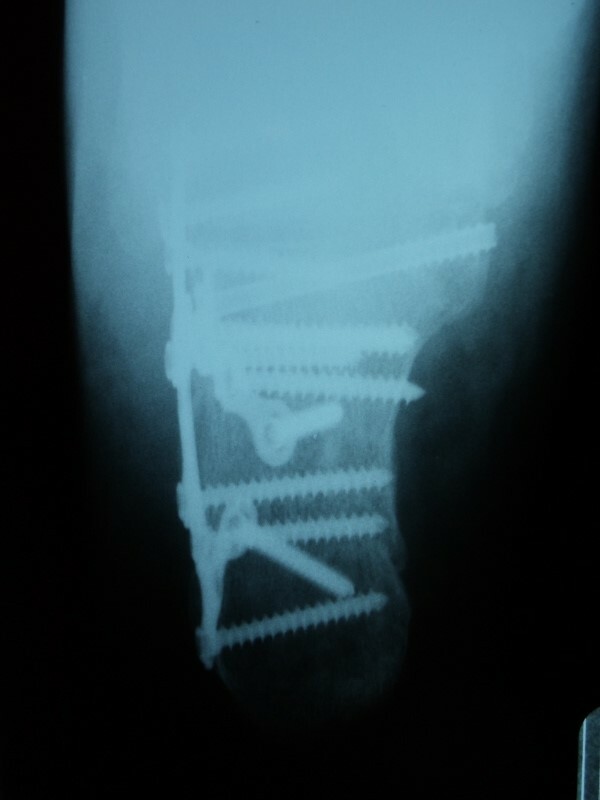 In some cases, where the fracture is severe, activities that do require any type of lengthy weightbearing will no longer be allowed. Sports that require side to side motion (i.e. tennis) may be affected. Will there be an impairment rating given to an employee injured at work? Answer: These injuries are associated with an impairment rating. 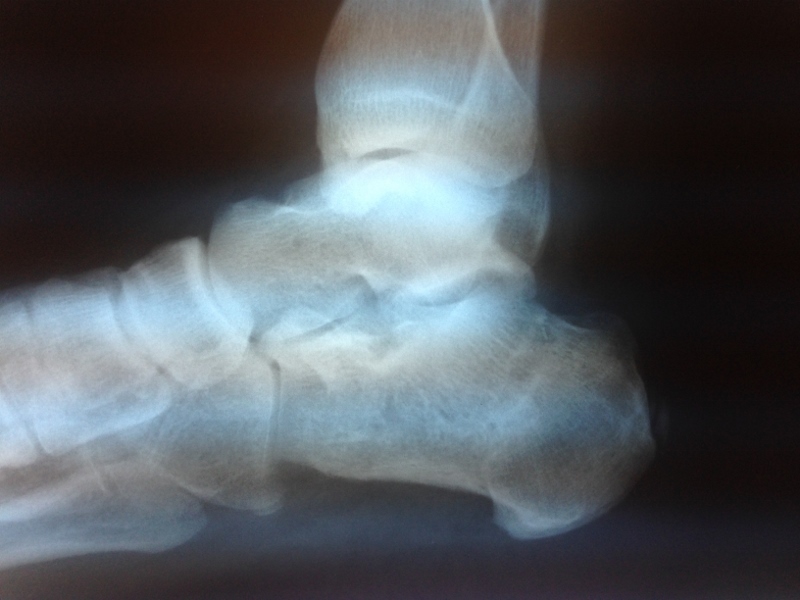 The injury does lead to arthritis in an important joint in the foot. 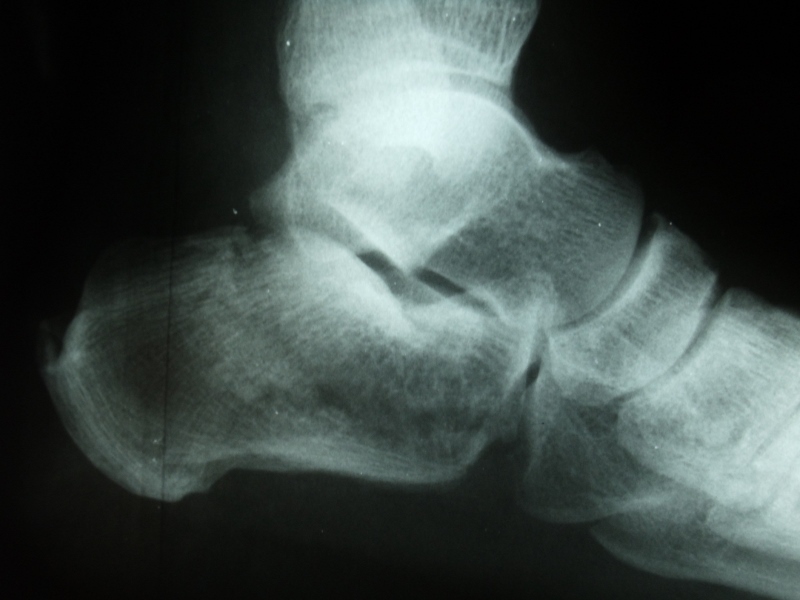 Additionally, stiffness is always seen in this joint (subtalar), and the ankle joint may also be affected. What are some long-term problems that may develop? 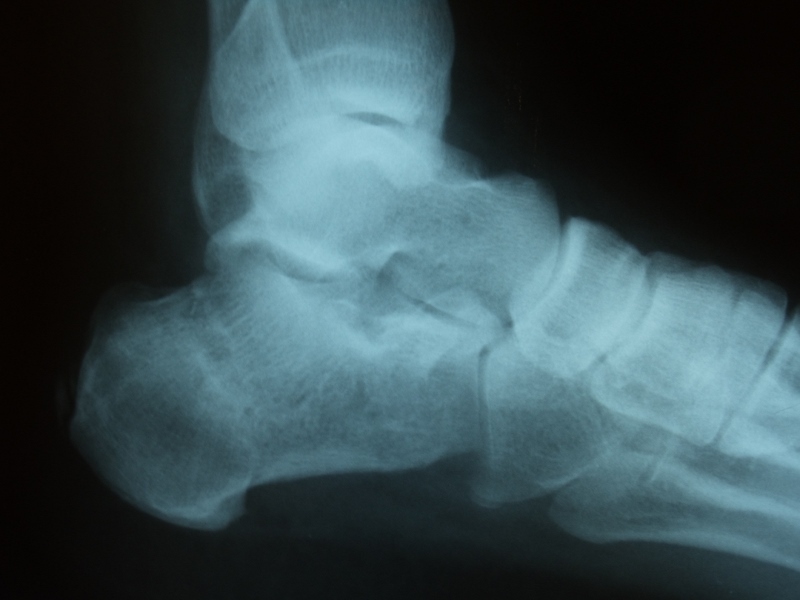 Answer: The most common problem that will develop is osteoarthritis in the joint that connects the foot to the ankle. This joint is responsible for assisting people to move from side to side. It is called the subtalar joint. 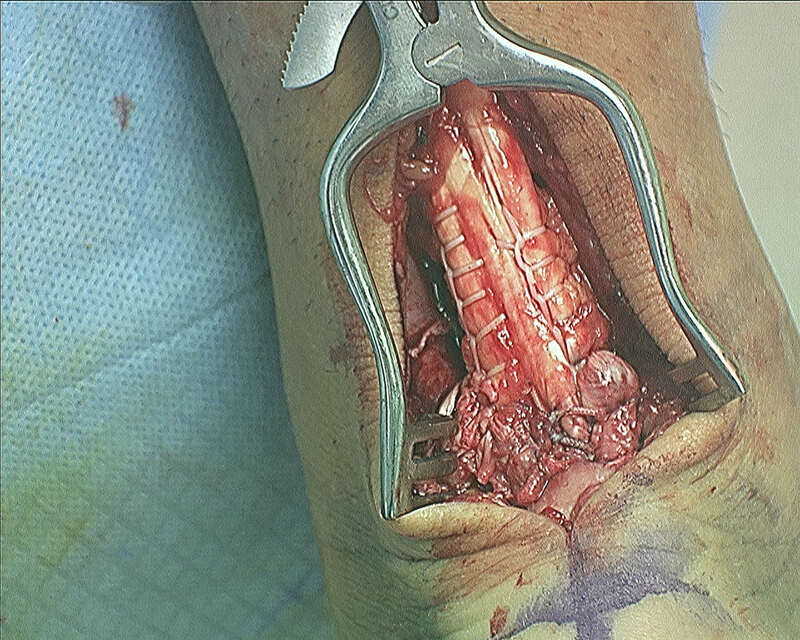 In addition, this joint helps the body absorb shock when the foot hits the ground. Other problems that may develop include tendon and nerve dysfunction. Difficulty with wearing shoes may also be present, as the heel bone may be widened. 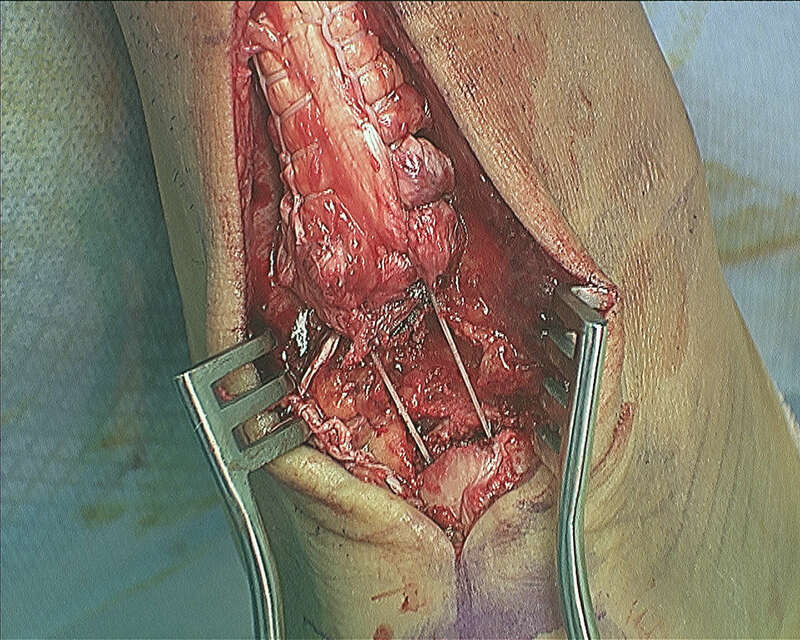 There is often discomfort on the bottom of the heel, as the fat pad under the heel gets injured as well. 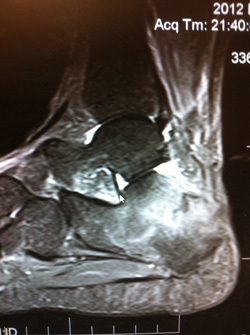 Answer: The injury to the cartilage is often overlooked with these types of fractures. Once the cartilage has been broken, osteoarthritis will often develop. The more pieces that are broken. the worse the prognosis. 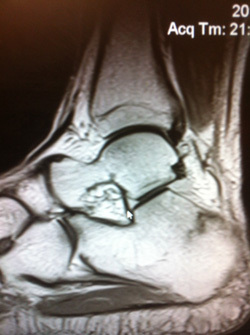 Occasionally a two or three part fracture is seen. 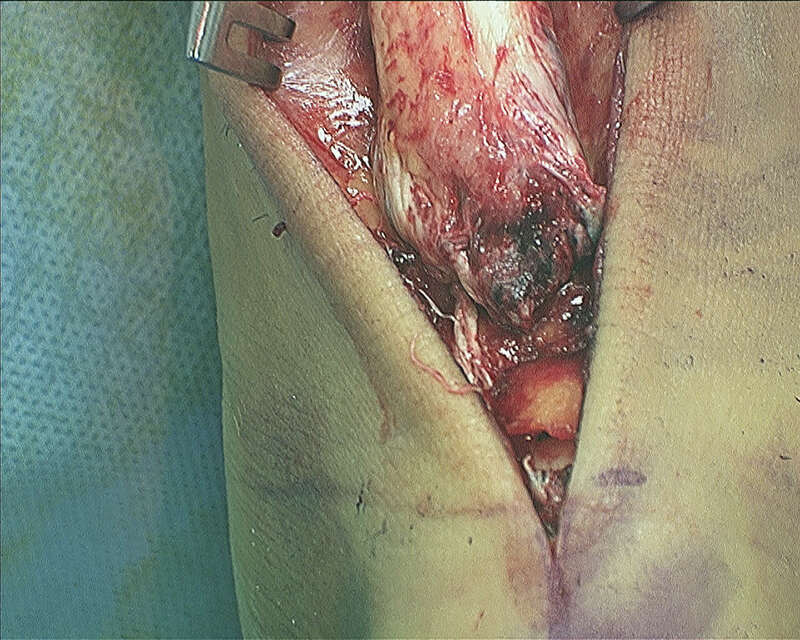 This is where the bone has been fractured in only two or three pieces. It is easier to put this bone together and the prognosis is better. Full return to sports and activities performed prior to the injury will be somewhat limited. 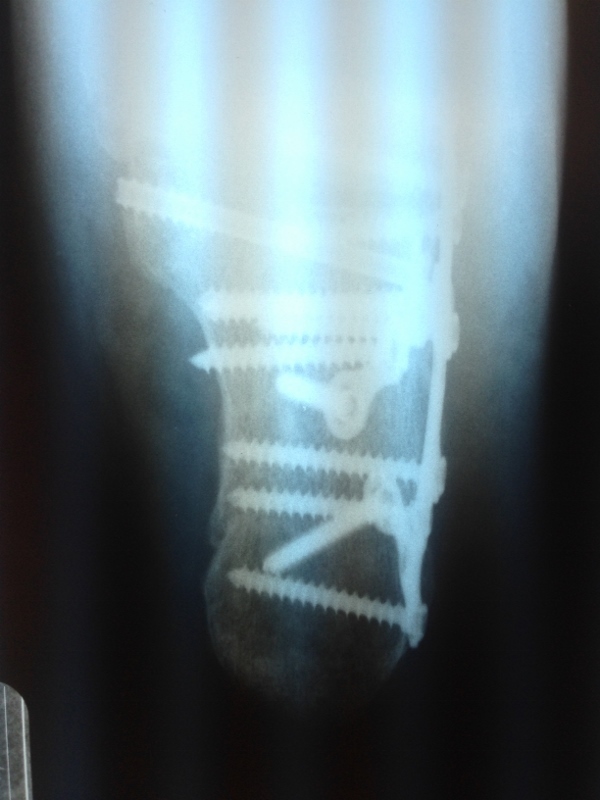 Will further surgery be necessary in the future? 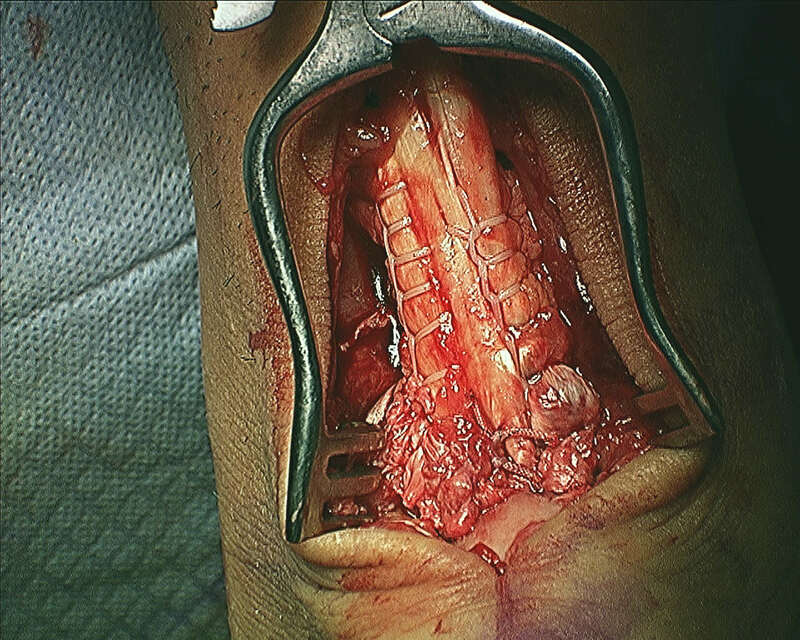 Answer: If the bone has widened during the initial injury causing tendon and nerve problems, a piece of bone may be taken off the outer wall of the heel to reduce the bulkiness. 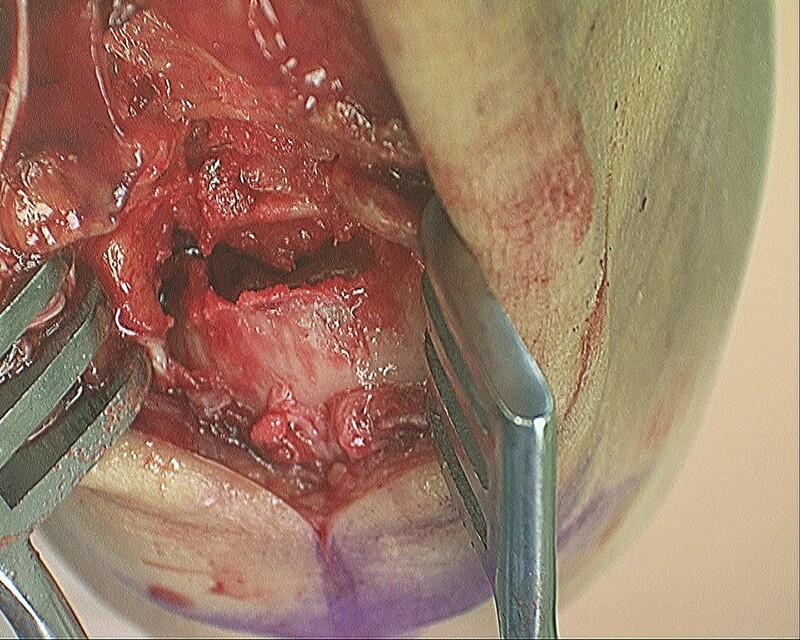 If the joint develops osteoarthritis that is mild, arthroscopic surgery may be performed to clean out the joint. If the arthritis is severe, a fusion of the joint to prevent any type of motion will be needed. This will eliminate the pain and allow normal mobility. 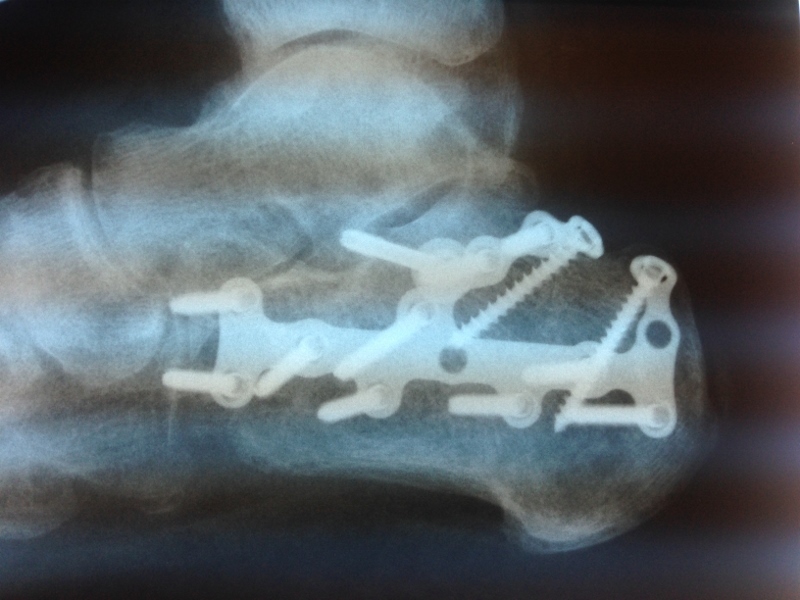 Occasionally, the hardware that is placed in the fracture site will become an irritant and this may also be removed. 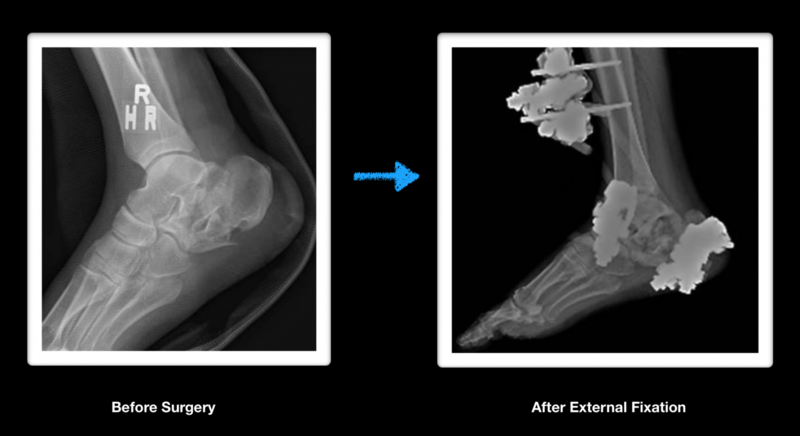 If the ankle has been affected by this fracture an arthroscopic procedure to remove any abnormal tissue may be warranted. 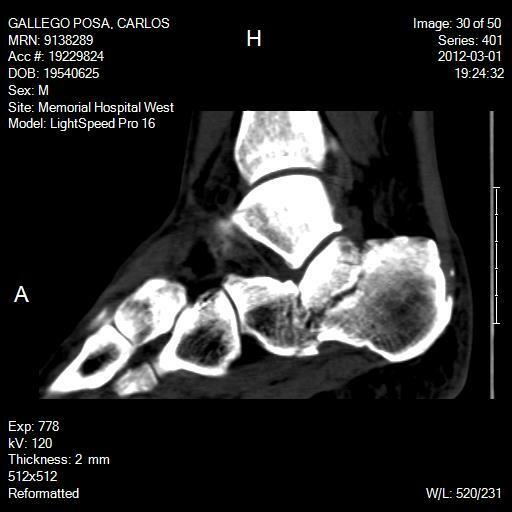 How will a fusion affect my foot and will the fusion cause problems in other areas? 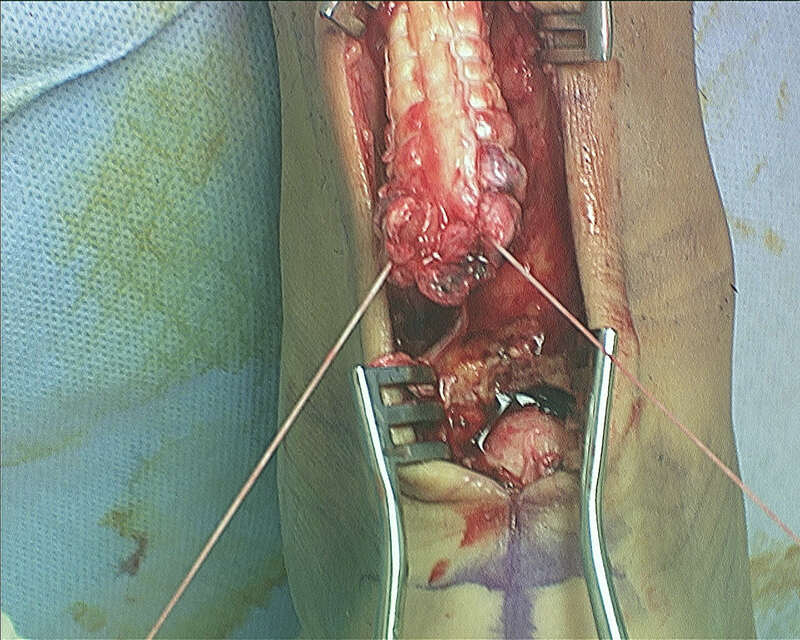 Answer: A fusion to the injured bone and joint will virtually eliminate pain in that region. 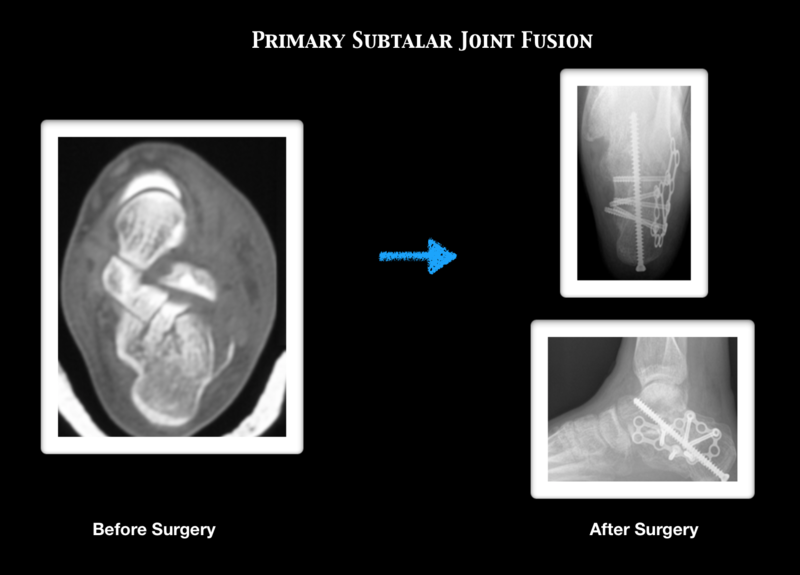 Fusion to the subtalar joint will cause the ankle joint to work harder in allowing the foot to ambulate as normal as possible. The ankle may become affected later, as osteoarthritis may develop from overuse. Sometimes the osteoarthritis is completely asymptomatic. 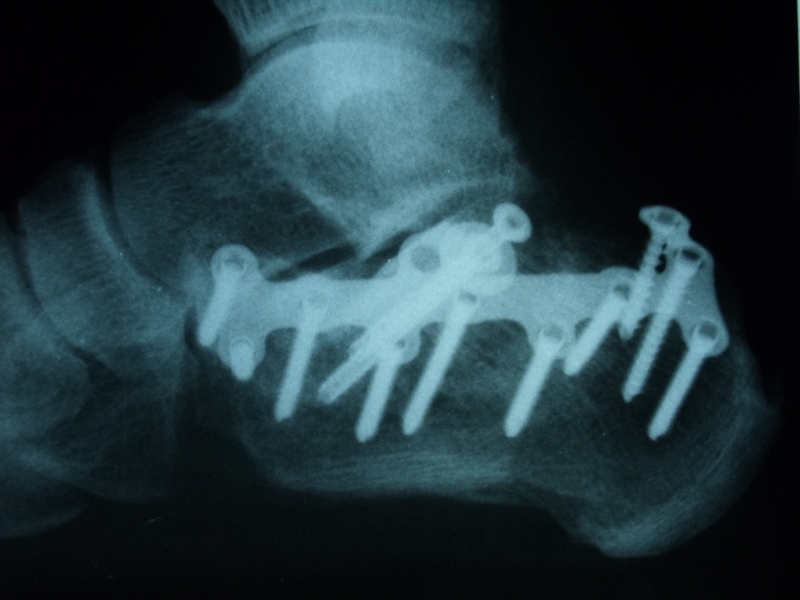 Once a fusion is performed in the foot the person will be able to resume work with little or no restrictions unless the work or activity requires a lot of side-to-side movement. Pain will be eliminated. It is by far the best procedure that we could perform in this joint, as our ability to do other procedures and provide relief is limited. 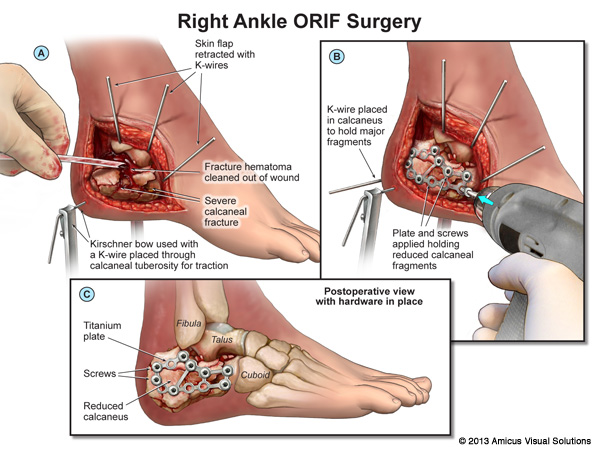 If the ankle does become painful, arthroscopic surgery may help to eliminate the pain. 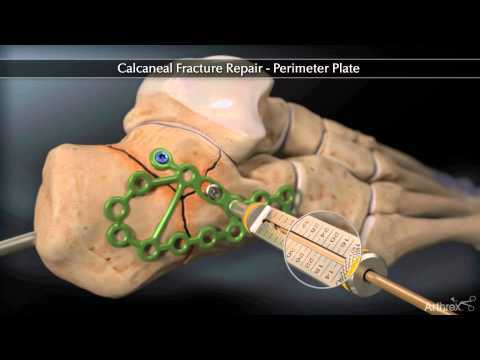 What are the different types of Calcaneal Fractures? Intra-articular fractures are called as such because the fracture lines enter and can disrupt the articular joint surface. 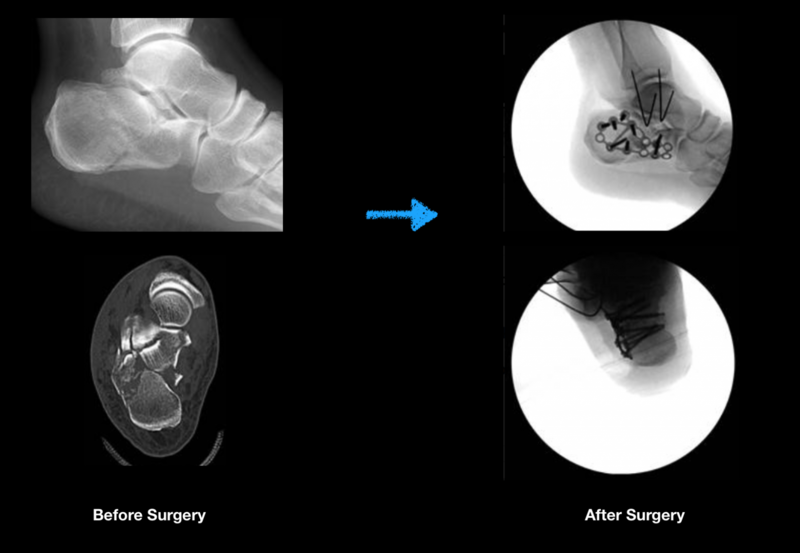 In the case of calcaneal intra-articular fractures the subtalar joint is the one that is post likely affected by this phenomenon. 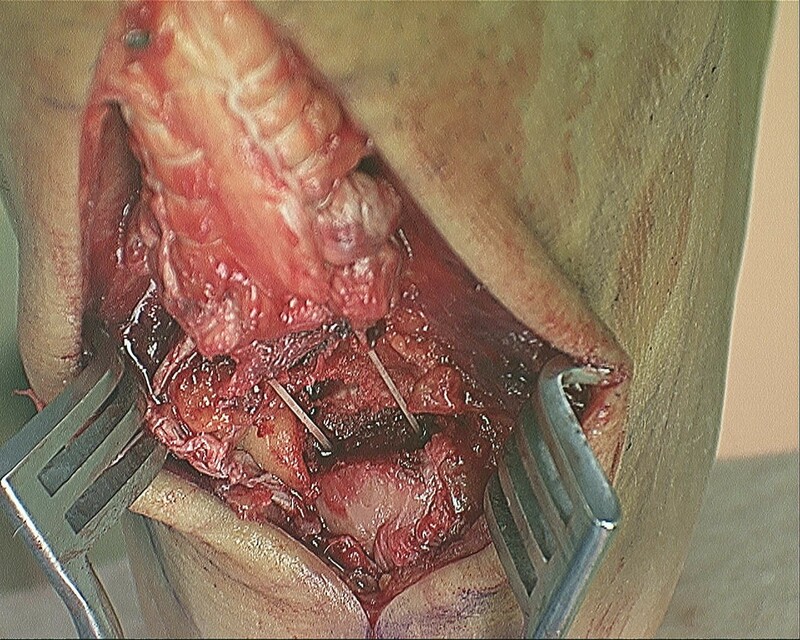 When the joint surface is affected is a priority to assure that the joint surface is minimally affected and if it is disrupted the priority then become to re-establish the joint surface usually with surgical intervention to assure the best outcomes. 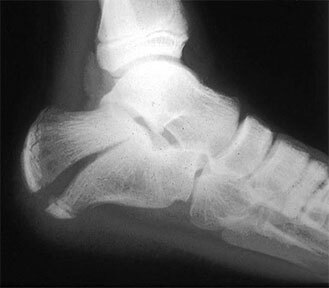 Stress fractures of the heel are uncommon in children. However, may be seen in young teenagers. 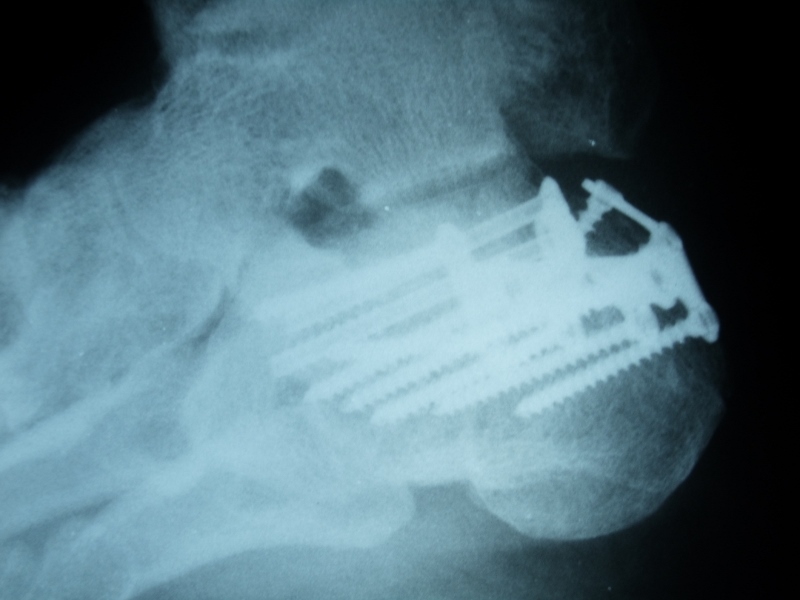 A microfracture that usually occurs in the heel is due to abnormal stress that has been placed upon it. The most common presentation is a young athlete who presents with a sudden alteration in their training regimen, (i.e., more sprinting, increased mileage or increased training intensity) that develops global pain around the heel. Swelling may or may not be seen with this problem. This type of injury is more common in women, especially those with menstrual irregularities and lower calcium intake. 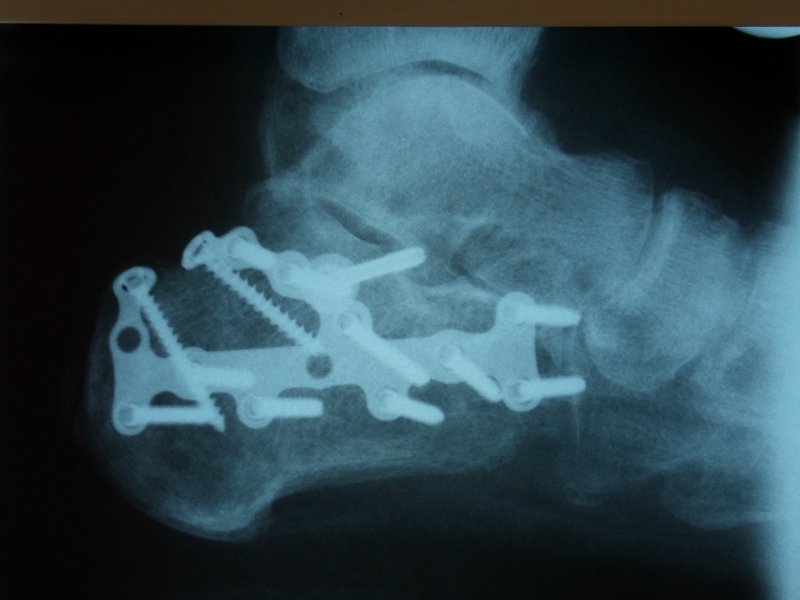 Stress fractures are overuse injuries that cause stress to the bone that exceeds the bone’s ability to repair itself. Repetitive stress to the bone over a short period of time, especially in an unconditioned athlete. Usually seen at the beginning of a sports season. 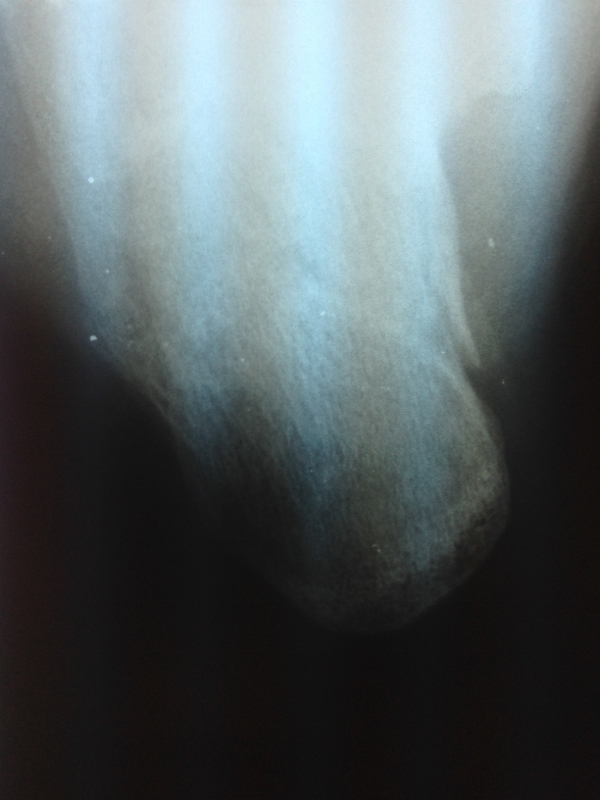 Structural abnormalities of the heel bone (cavus or high arch foot) may predispose the patient to this problem. Diffuse tenderness to the heel bone upon grasping the heel. 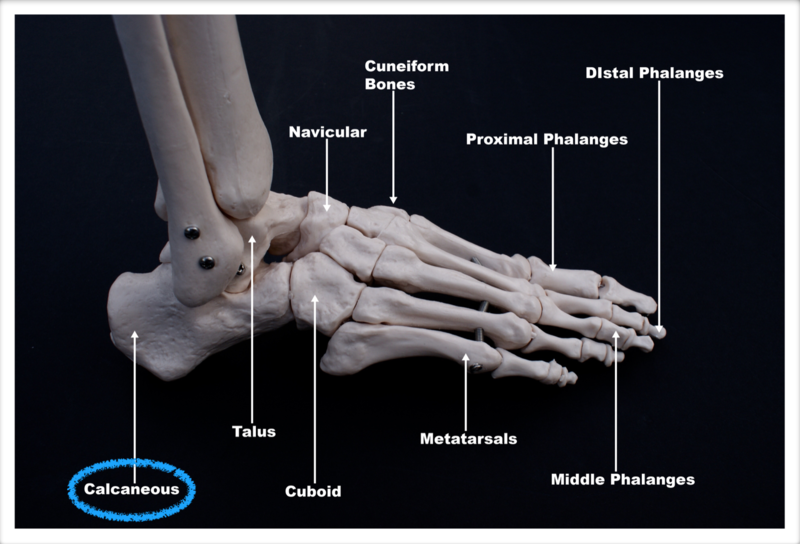 More of the tenderness is to the outside than inside of the heel bone. Occasionally seen with low-grade swelling on the outside of the heel. Pain may be minimal in the morning but as the day goes on pain gets worse, causing difficulty walking. Inability to participate in any type of sporting activity due to pain. 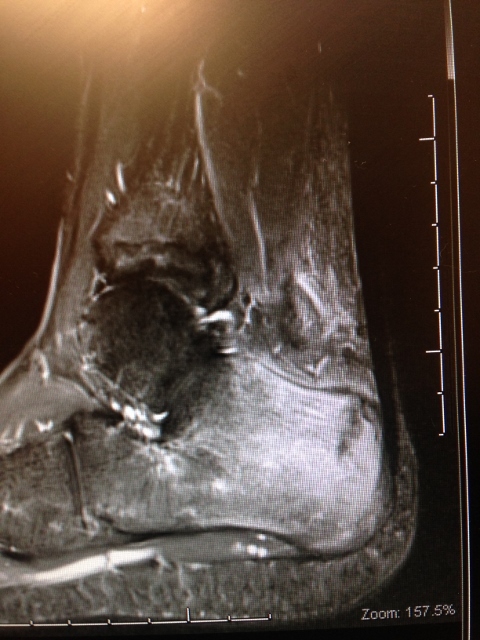 Usually negative for stress fractures of the heel. 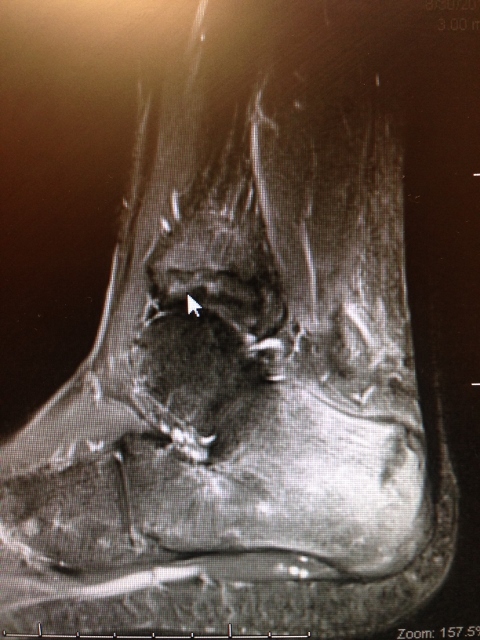 MRIs and bone scans are rarely necessary as the diagnosis of stress fractures is made by a good clinical examination. Rest from the activity precipitating the problem. Cross training activities that do not stress or overload the bones (example: swimming, cycling, Stairmaster). 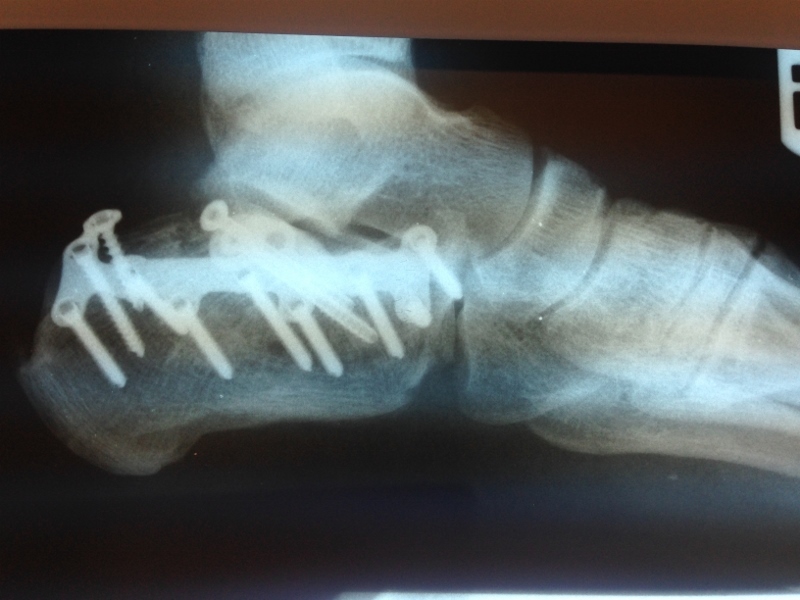 Immobilizing the extremity in a removable boot usually lessens the pain immediately and allows ambulation. If unresponsive to immobilization in a removable boot, utilizing a fiberglass cast will immediately allow healing of the bone to take place. A change to a softer running athletic surface and the use of cushion shock absorbing custom molded orthotics. In females with menstrual irregularities, follow up with a physician is imperative. 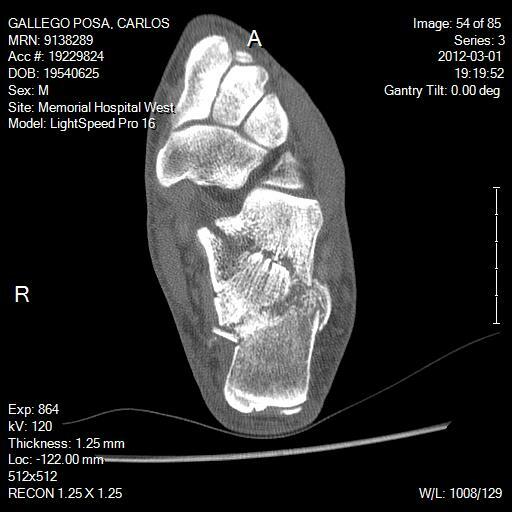 Prognosis of stress fractures to the heel (calcaneus) is usually excellent. The condition usually takes between 4 and 8 weeks to heal. In the competitive athlete it usually takes 6-8 weeks before activity can begin. Predisposing factors must be identified and treated appropriately. Long-term recurrence is rare. 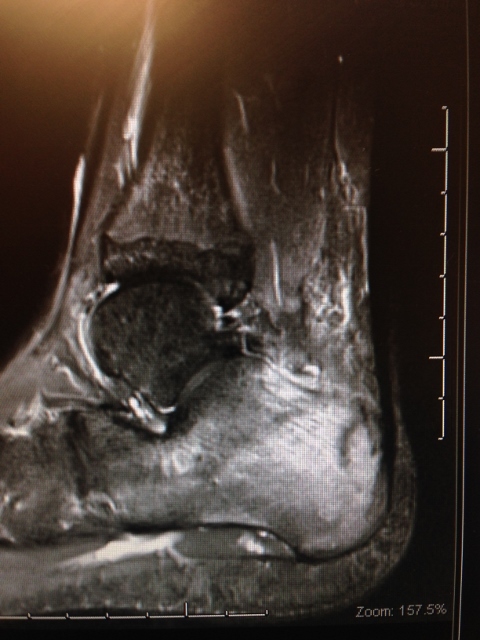 MRI imaging is excellent for diagnosing stress fractures. 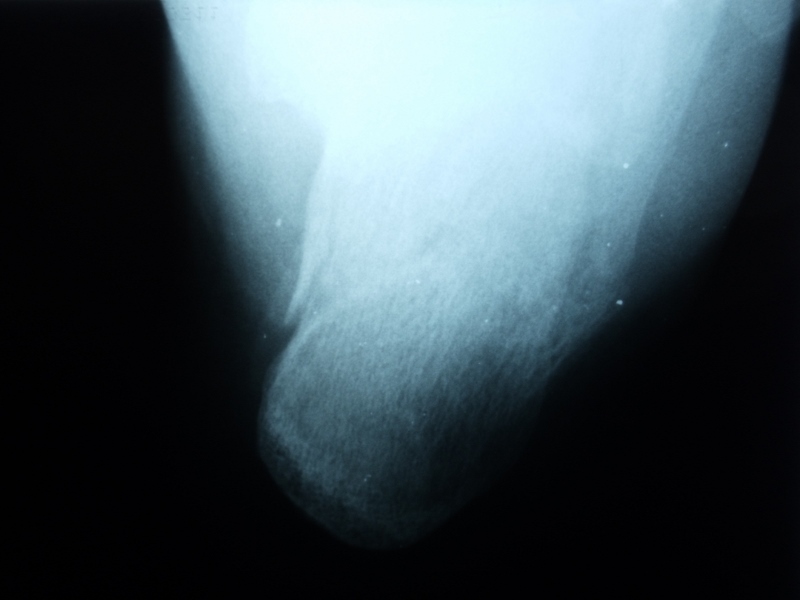 A T1 weighted image will show normal bone in a white color and edema and/or fracture lines in gray to black color (below left). T2 weighted imaged are the opposite and will show bone black and any fluid like swelling within the bone or throught a fracture as white (below right).